June 20, 2017 June 21, 2017 Categories fashionfashion, fashion blog, fashion blogger, fashionable, ootd, ootn, rose, spring fashion, street style, style, summer fashion, summer style, what i wore, wine, wiwLeave a Comment on Rosé. Okay. 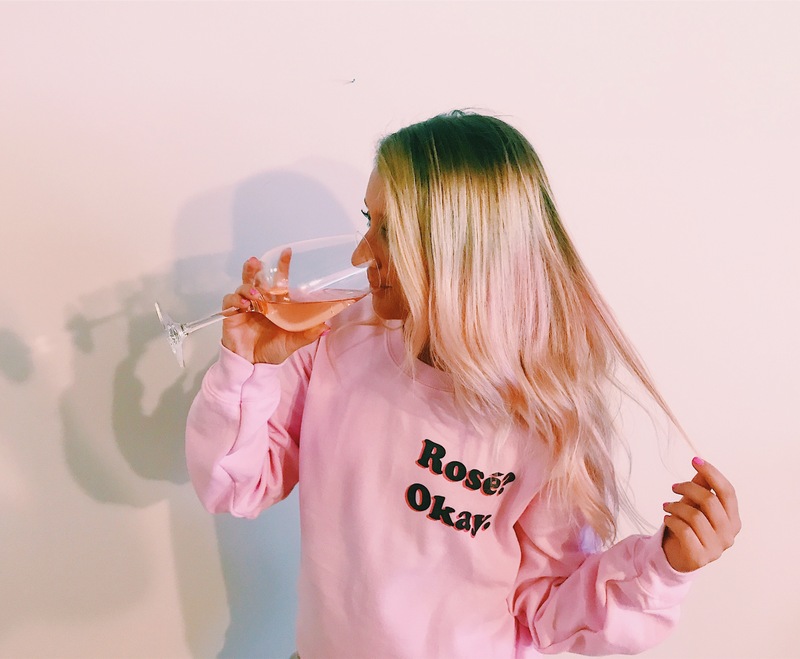 I am sure you all have gathered at this point that I really enjoy a nice cold glass of Rosé – so when I found this sweatshirt on one of my favorite websites Tees and Tank You I was immediately sold. I paired this look with my favorite Gap Boyfriend Jeans and these adorable Fringe Denim Slides – but you can almost always find me wearing this on my couch with a glass of Rosé in hand. If you use code KRISTIN15 you can take 15% off your entire order with Tees and Tank You ! Go check it out – they have some seriously great stuff.